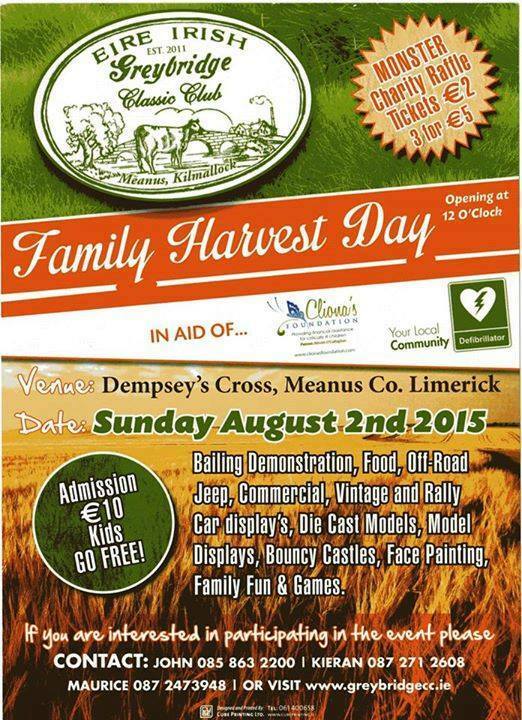 Greybrdge Classic Club will host their annual Family Harvest Day on Sunday August 2nd. The event which is run on a voluntary basis takes place in Meanus, Co. 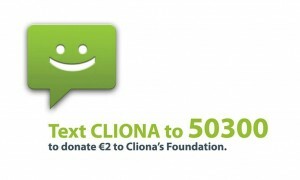 Limerick, with all funds on the day going to the selected charities which this year are Cliona’s Foundation and the Local Community Defibrillator Campaign. There will also be plenty to keep the whole family busy, with lots of entertainment including free bouncy castles, face painting and lots more fun and games, there will also be a variety of novelty games taking place on the day including mechanical bull, guess the weight, penalty shoot-out and a cycle from Malin to Mizen Head on stationary bikes, and if you need to relax after all that activity, free tea and coffee will also be available.